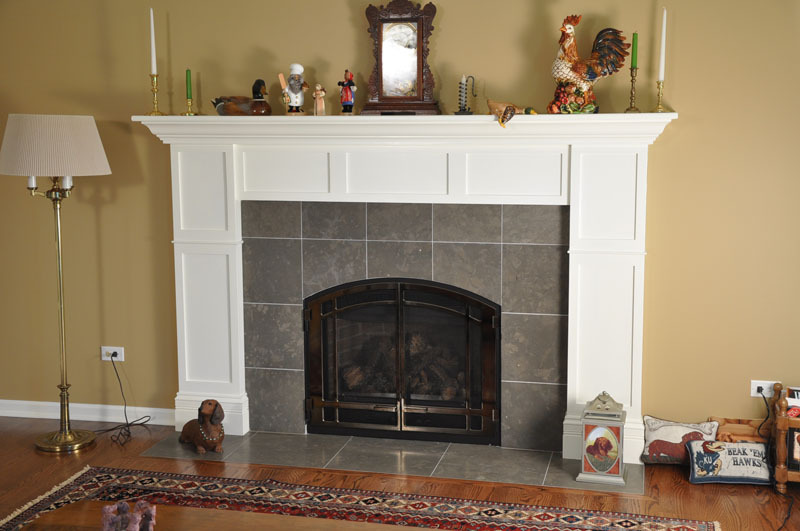 What's a fireplace without a nice mantel? 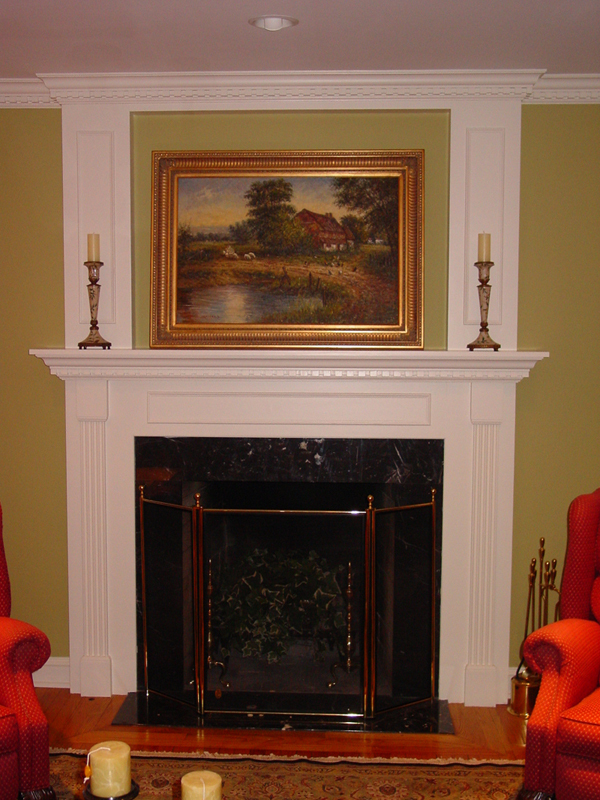 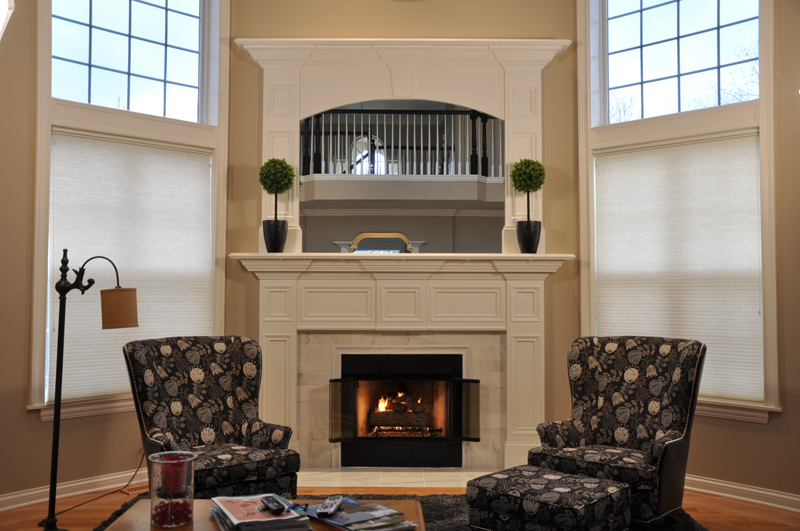 Custom mantels can make sitting by the fireplace that much more cozy. 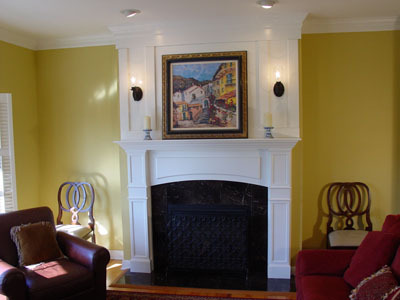 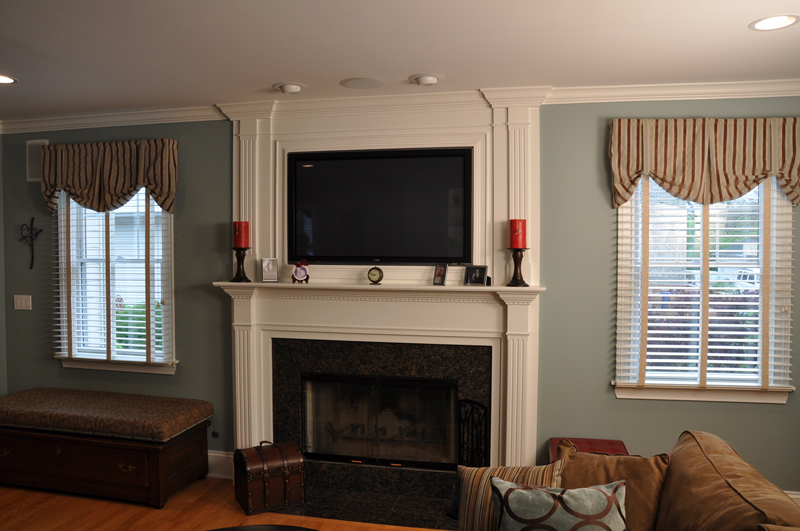 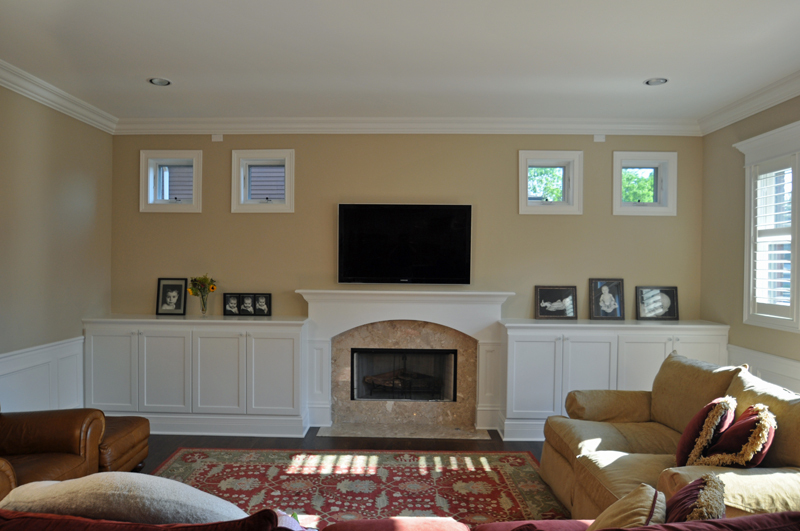 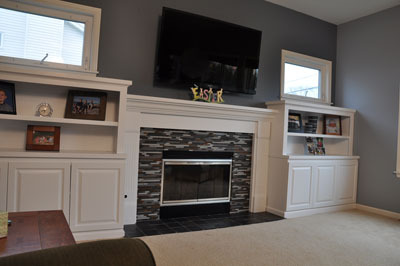 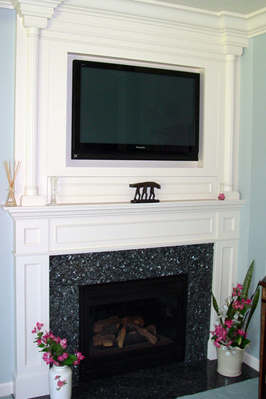 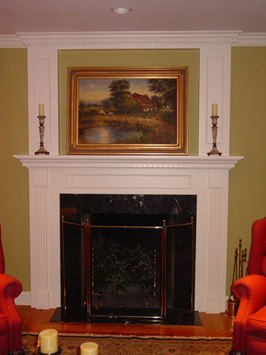 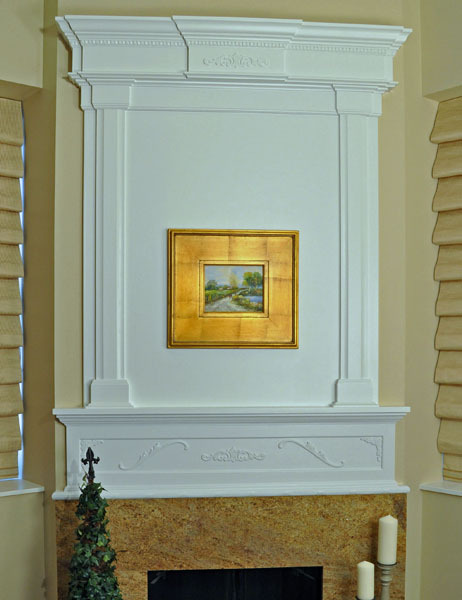 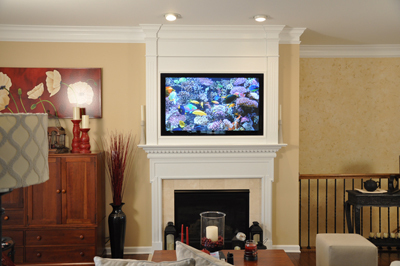 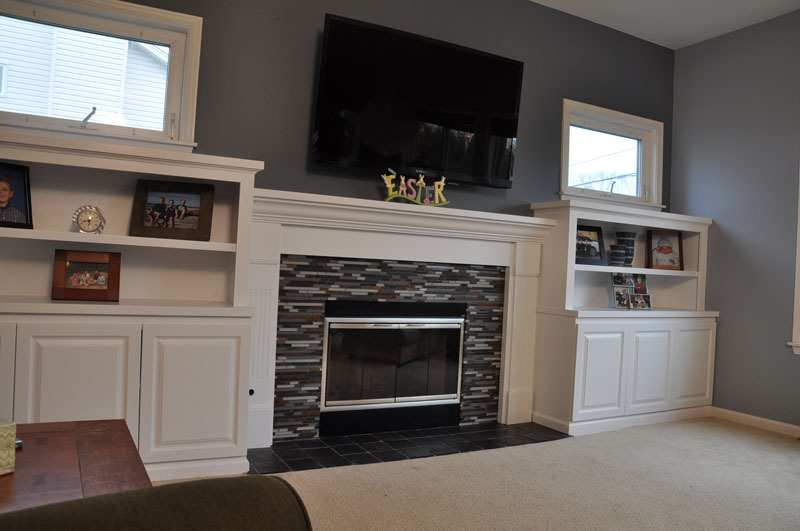 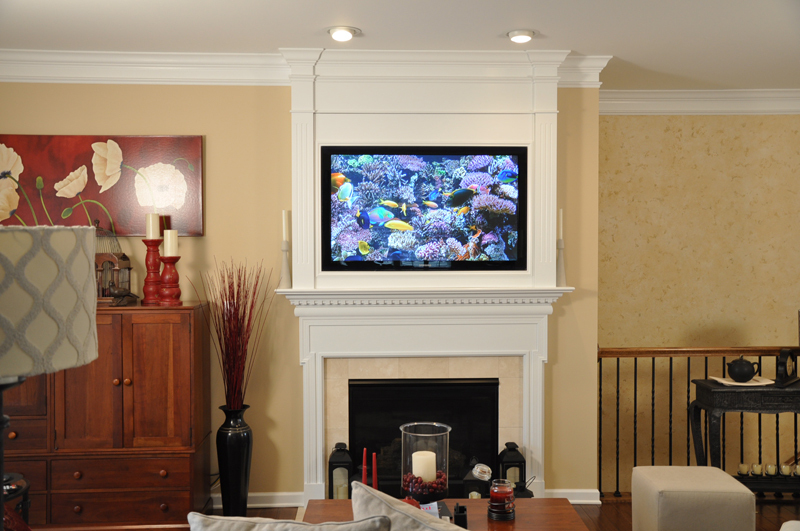 Mantels can incorporate a flat screen TV and a hidden door for cable and dvd boxes. 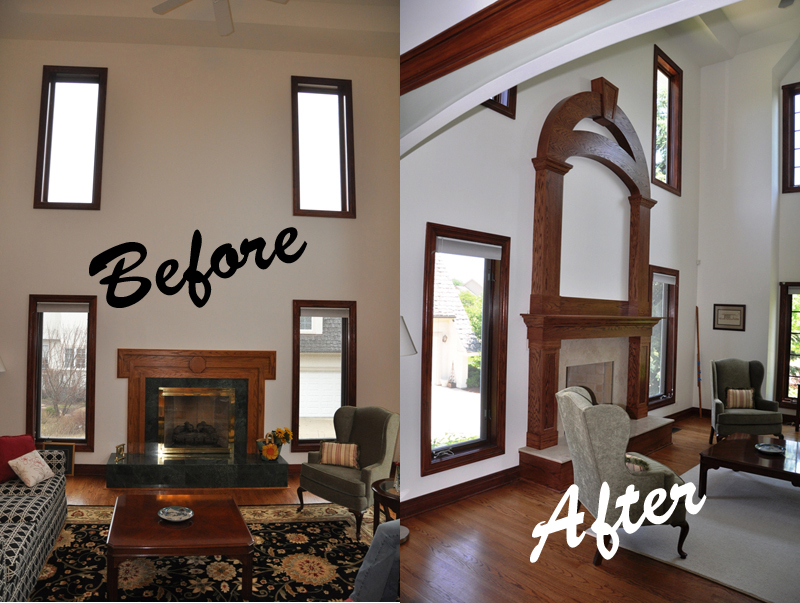 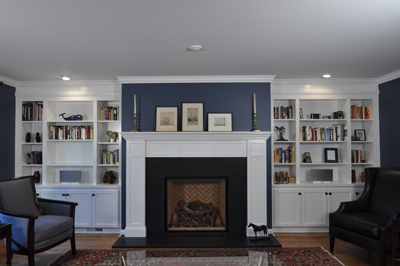 Many times mantels are flanked by built-ins on either side. 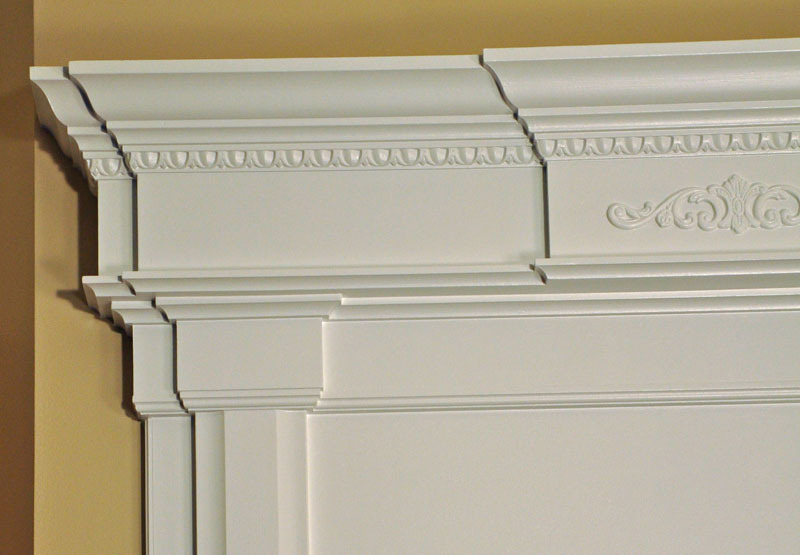 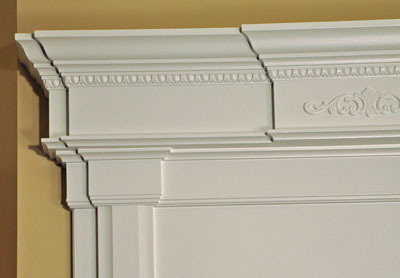 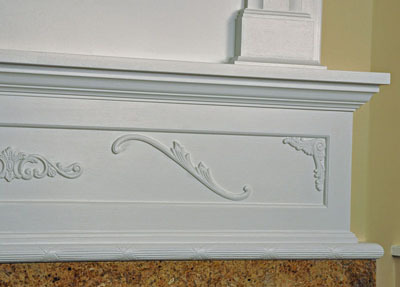 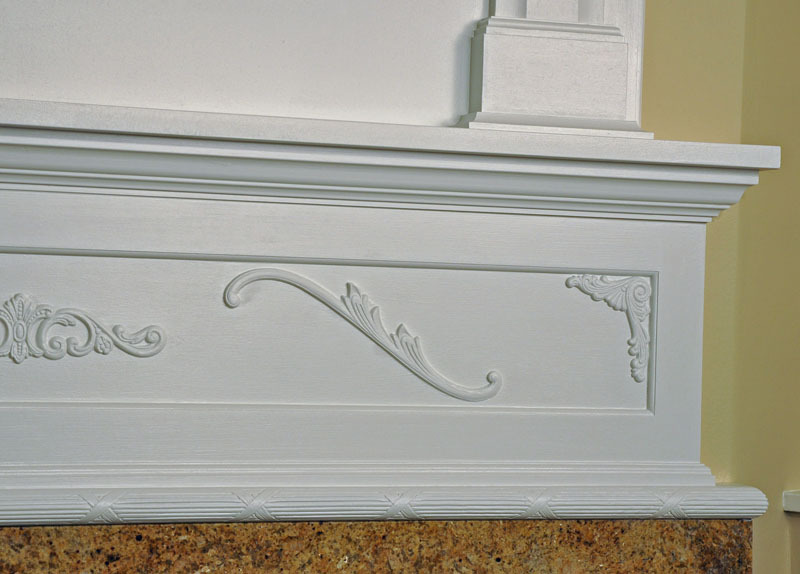 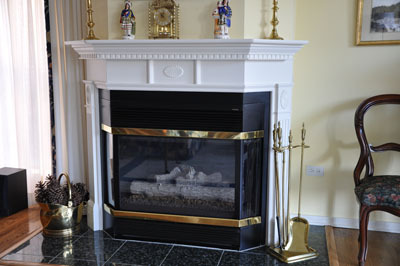 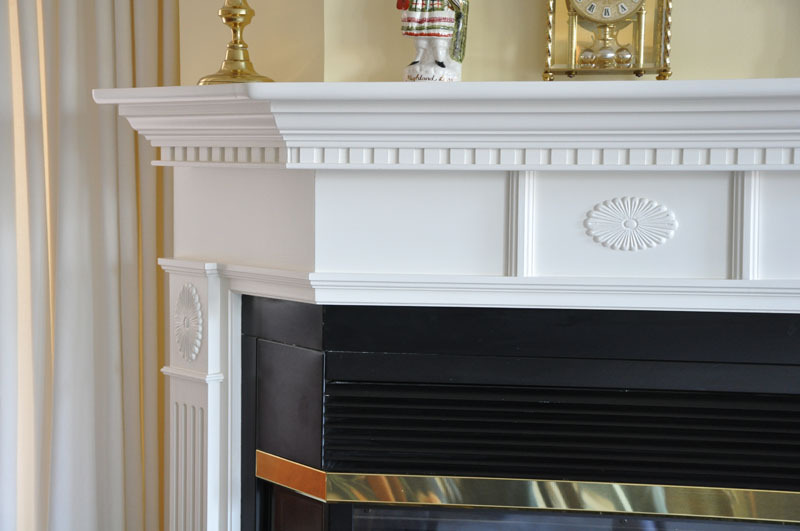 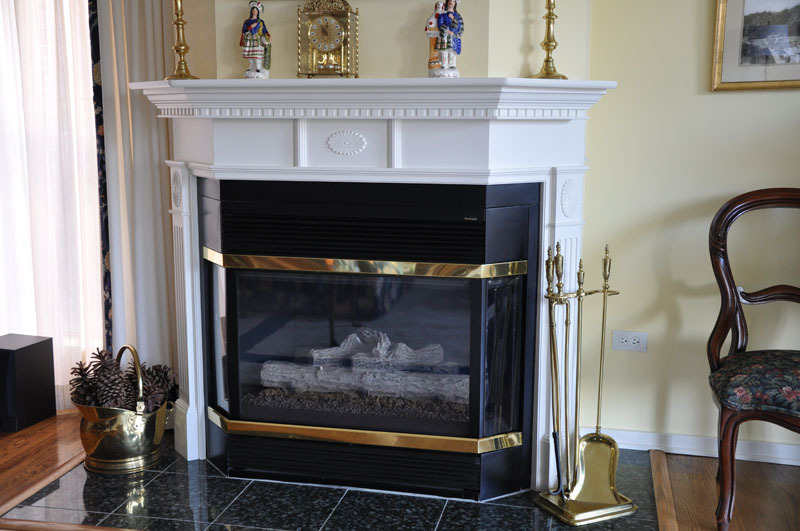 The details of your mantel can range from simple to ornate and from modern to traditional. Here are detailed close-ups of the mantel to the left.